5 Bedroom Ultra Luxury Modern Villa in 4806 Sq.Ft. Facilities of this Ultra Luxury Modern Villa are as follows. 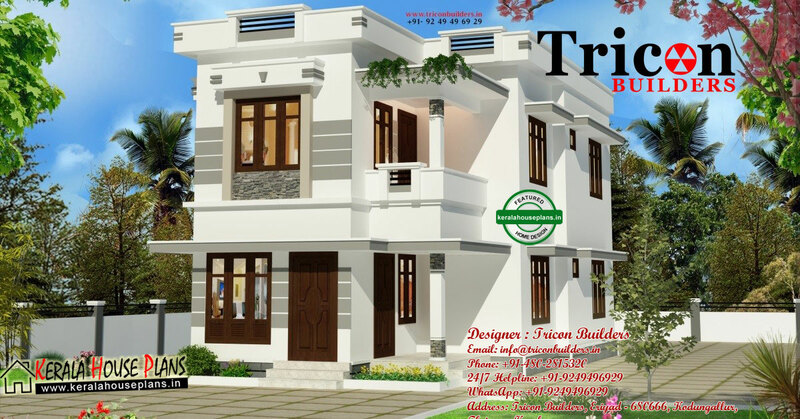 This time we present 3 Bedroom Budget Villa in 1324 Sq.Ft with sit out, formal living, dining room, bedroom with attached bathrooms, kitchen and work area in ground floor. In first floor of this budget villa includes 2 bed rooms with attached toilets, upper living room, balcony, study room and open terrace. A modern Low cost contemporary Style house in kerala within 1200 Sqft, which can be finished in less than 20 lakhs budget. Facilities of this low cost budget house includes sitout, drawing and dining, 3 bed rooms, attached toilet, common bath room, kitchen and work area. 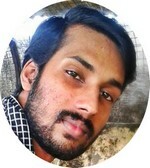 Regarding the budget of this kerala budget model house budget and cost depends upon place to place and area to area, materials used for construction etc. 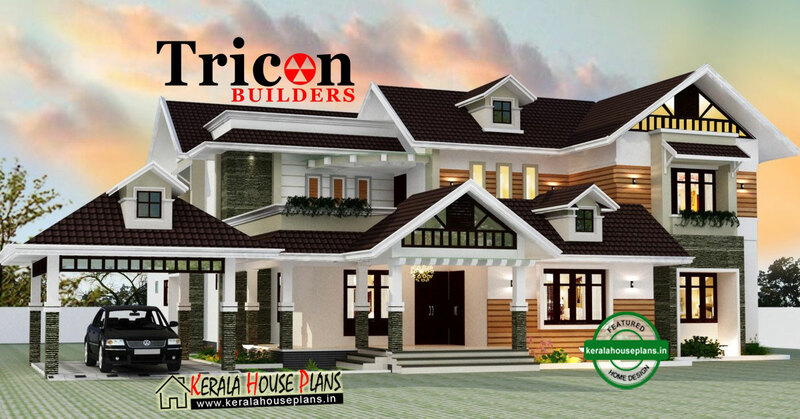 For other kerala model low cost house plans and elevations refer related articles. 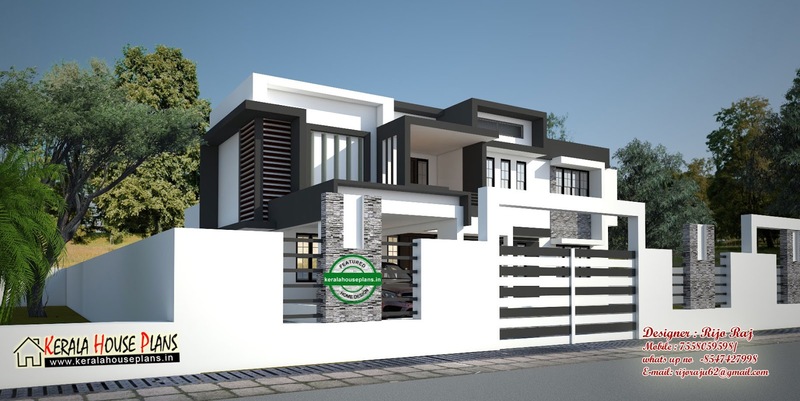 Kerala modern house elevations with 5 Bed rooms.A modern contemporary Style Home Design of 3225 Sqft with sit out, drawing and dining ,family living, attached bed rooms, kitchen, work area, car porch, court yard in ground floor. 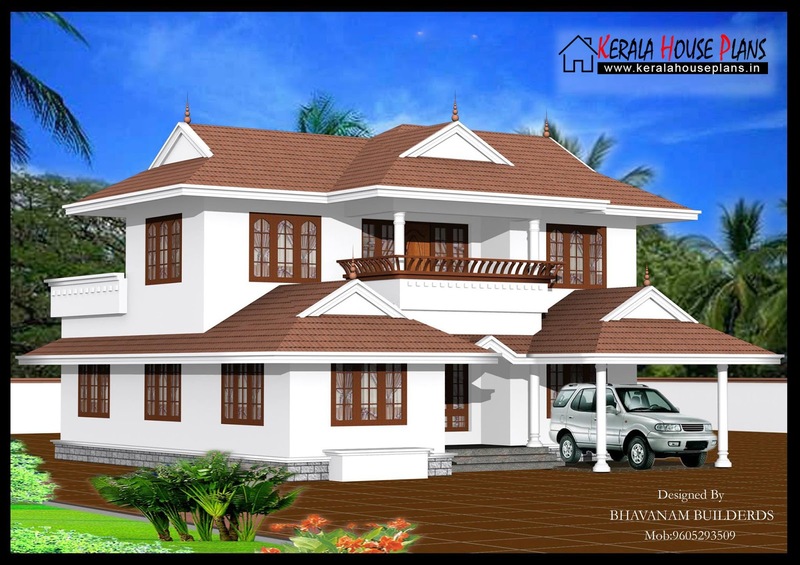 In first floor facilities includes upper living room, 3 bed rooms, 2 bath rooms attached and open terrace.To view more kerala modern house designs please subscribe our news letter.